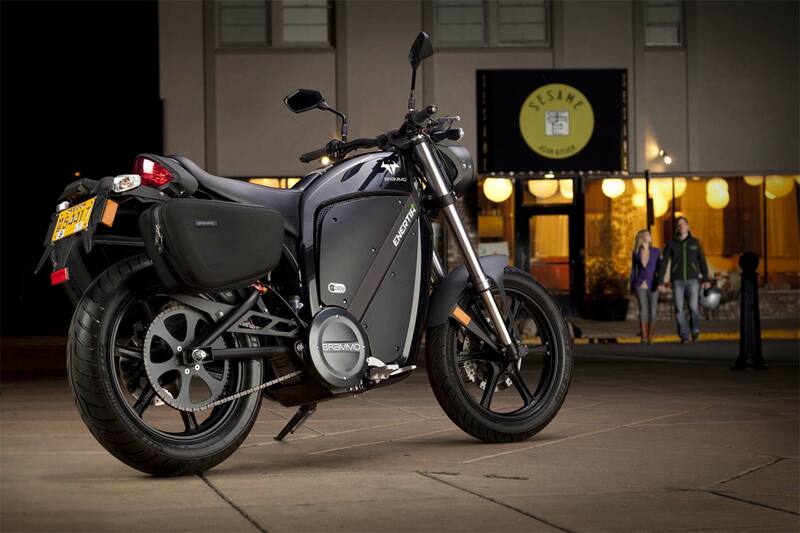 In doing further market research on customer behavior, or more importantly consumers who did not buy an Enertia, Brammo identified the 60-mile range figure as being a key requirement consumers had for their motorcycling needs. 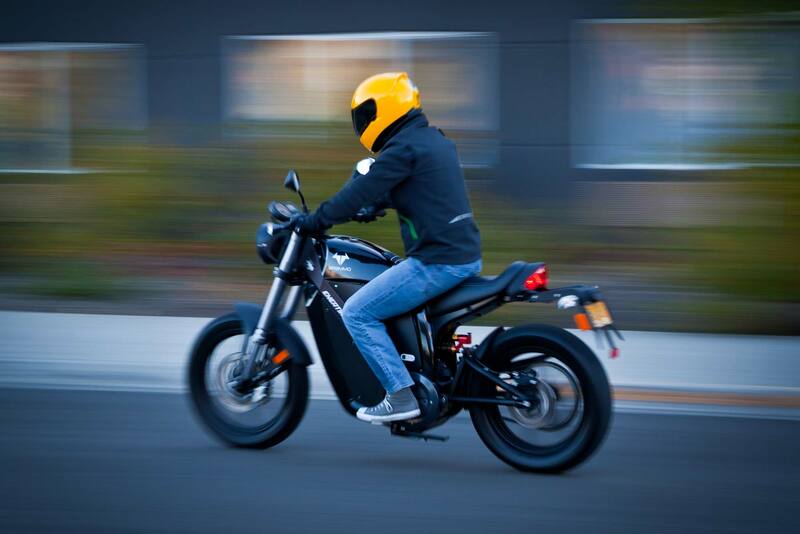 With rapidly changing battery technology occurring in the industry, Brammo has upgraded the Enertia Plus to keep pace and use the same battery technology as is found in the 2011 Brammo Empulse. As such, the 2011 Brammo Enertia Plus will share battery packs with the electric sportbike that differ only in dimension, but not in chemistry or performance. Brammo has also made some refinements to the Enertia Plus from the base model, changing the bike’s riding geometry and steering locks slightly to allow for easier and tighter turning. The Enertia’s start-up and charge sequence has also been further simplified, with a rider simply needing to turn a key or plug the bike into an electrical socket to start or charge it respectively. 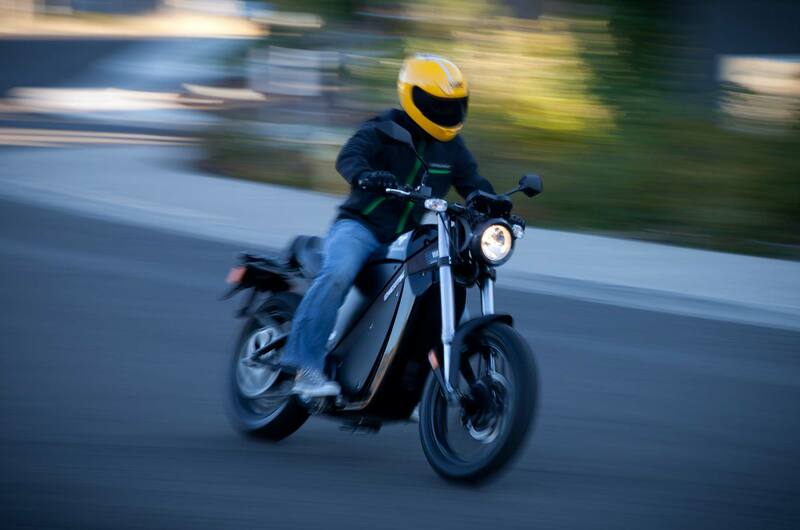 Despite the $1000 price tag difference, Brammo realizes some Enertia owners might feel like they just got hosed by the rapidly evolving pace of battery technology, so Brammo is instituting a rebate program for Enertia owners who buy an Enertia plus, giving a $2,500 rebate to these buyers. With the Brammo Enertia Plus, the company is also launching optional Givi hard bags, which we can’t say add much to the design of the bike, but do make it more practical. Working on both the original and Plus, pricing on these starts at $350, while the optional center stand has pricing yet to be determined. Brammo will begin taking pre-orders on the first 1000 Enertia Plus purchases, and one of the thousand pre-orders will get randomly selected to be a free purchase of a new Brammo Enertia Plus. The Brammo Enertia Plus will be available in four colors: Eclipsed Black (which came from a forum poll), Aluminium (pronounced in the British way), True Blood Red, (CEO Craig Bramscher is a big fan of the series), and our personal favorite Peace Keeping Blue (based on the UN’s trademark color).